The condominium market in Ottawa has been in the doldrums for almost 4 years, largely due to the overbuilding of new projects. That has now changed and the condominium market is showing signs of huge potential price increases. There has been a complete pullback of new condominium construction and project launches since 2013. 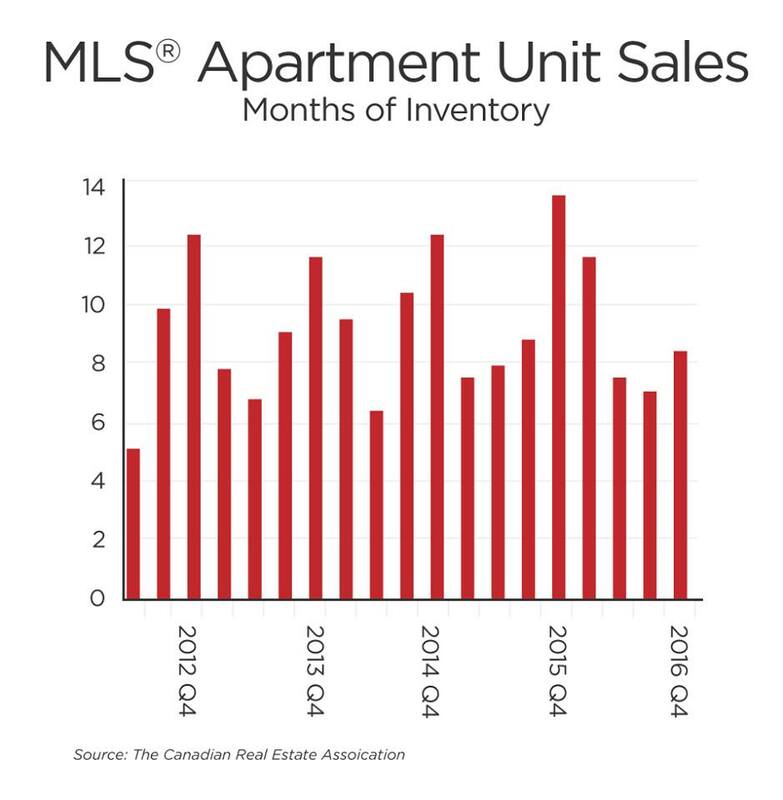 The future supply of inventory in 18 months will not be anywhere near the current annual demand. A supply crisis will unfold within the next 12-18 months. MLS condo inventory in the 4th quarter of 2016 has dropped 36% and now represents 8.9 months of supply down from 12.9 a year previously. 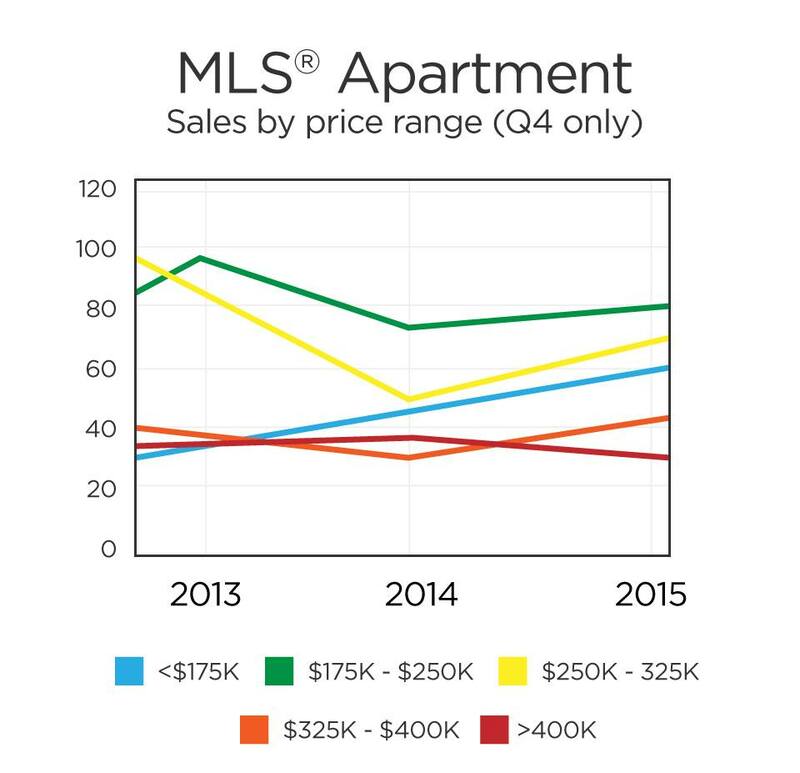 During the 4th quarter of 2016 sales volumes were up 25.6% over the previous year. 3. Strong infrastructure spending nationally. 4. Low rate interest rate policy unlikely to change for the foreseeable future. 5. Continued area population growth with an increase of 12,000 people in 2016. 6. Zero new development = Zero new inventory. The future condominium supply that will need to hit the market in 12-18 months will not be coming. It will take 5 years for the development industry to catch up. I expect the inventory supply to drop from 8.9 months in Dec/16 to 4 months by Nov/17. Buyers still have an opportunity to buy at what is currently greatly discounted pricing but not for long. In 18 months we will hear plenty of “I could have bought” stories.